When you purchase this course, students receive online access for ten months from the purchase date. For your convenience, you can begin anytime, and complete on your schedule, at your pace. Also, a separate username can be set up so that a parent/teacher can monitor the student’s progress and access the Teachers’ Guide materials. By default, the username and password you create during the checkout process will be used for student access. However, you can contact cathe@boundarystone.org to set up or change the usernames at any time. Creating separate teacher and student users will require two separate email addresses and usernames. If you have questions or suggestions you can click on Feedback on the right side of any page at any time to contact us. We make it our priority to make sure your experience with our materials is as smooth as possible and we will respond in a timely manor. These books are required for the online course. 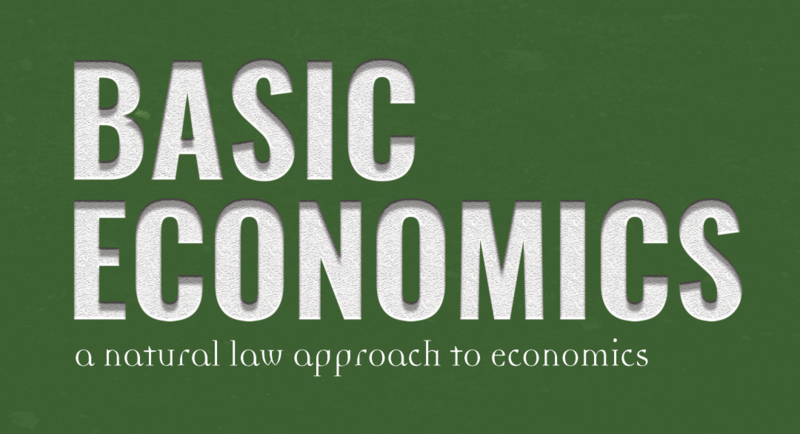 Basic Economics, A Natural Law Approach to Economics, 4th ed., Clarence Carson, and Paul Cleveland, (which includes the study guide). ISBN: 978-0-9727401-4-2. You can purchase this at boundarystone.org or at Amazon. The Law, Frederic Bastiat. This essay is an excellent discussion of the proper role of government and law. It is approximately 50 (5×8) pages long and you will read it between chapter 2 and 3 of the textbook. We used the page numbers from the version with ISBN: 978-0-89803-175-1 in the Study Guide. You can usually purchase this version at a very low price in paperback from fee.org. They also have a free pdf version on their website. which will have different page numbers than the ones listed in our Study Guide. The course divides the work into six units, which we listed with the chapters covered in the Semester Overview document. When you view the PDF, a separate tab opens in your browser and there is a download icon if you need a copy to print. When finished, you can close the tab or switch tabs to return to the main screen. For your convenience, this document lays out the flow of the course on one page where we divide an 18-week semester into four quarters that each end with a test. Additionally, you can use the optional budget project, which is included in the course purchase price, for either extra credit or deeper study. To allow time for this project, we set aside one day in most weeks as a Project Day. You can navigate around the course at any time using the Course Navigation links in the right sidebar. Your parent/teacher determines the grading requirements and could use some of the following components to determine the course grade. For completion of reading assignments and videos. For completion of Study Guide Review Questions in writing. For completion of Topic Quizzes by making at least a 70%. For completion of Budget Project. As long as students are logged in, using the Mark Complete buttons at the end of a topic will cause student progress to show graphically at the top of the page. Also, the teacher/parent can access a grades panel in order to see quiz and test scores and which lessons they have marked as complete. You must have cookies enabled for boundarystone.org in order to see course progress. Unit 4: Why Aren’t Movie Tickets a Nickel? Unit 5: Where Does My Food Come From?